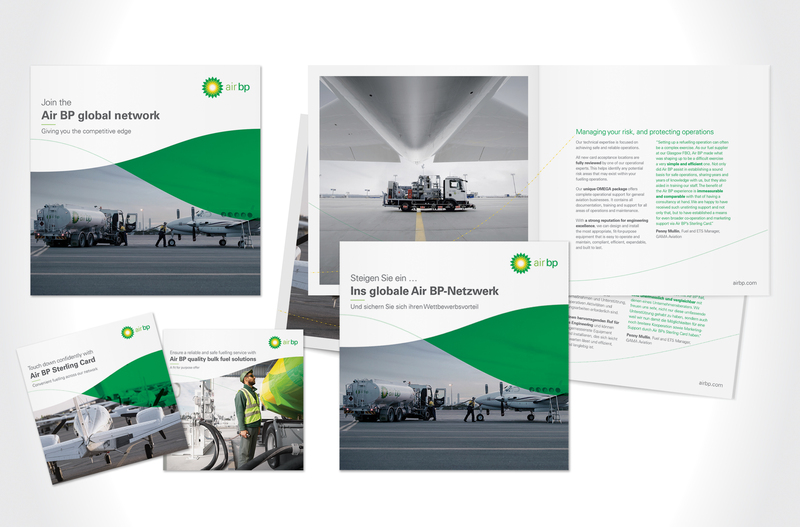 Utilising Air BP’s new look and feel branding, this project consisted of the creation of a series of company brochures to outline Air BP’s offer to both their b2b and b2c customer base. Implementation of the new brand’s look and feel was a great challenge as it’s one that involves more than just arranging the brand elements. All 3 types of branded brochure, each aimed at their own individual markets, had to be designed with purpose and discipline. Each of the brochures was then produced in various languages for use across the globe.